Galletti HiRef HPS. 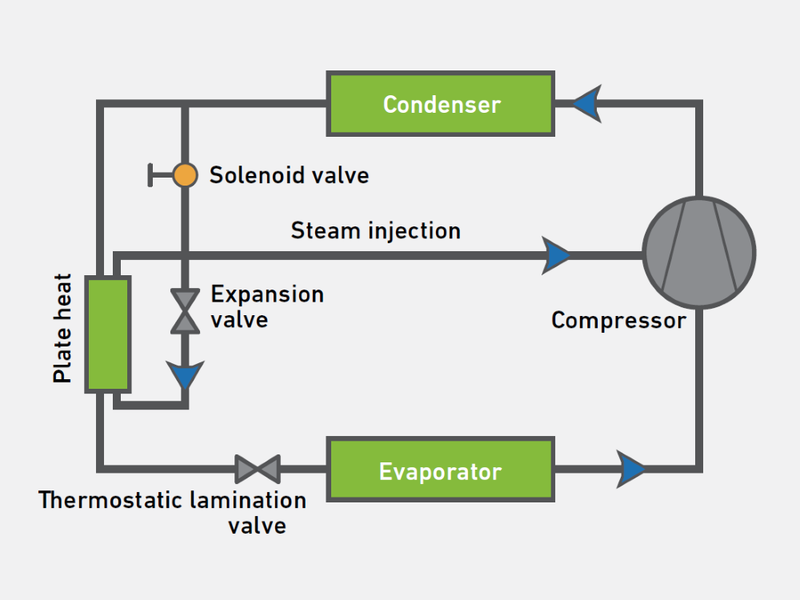 Low-Noise Reversible Heat Pumps. HPS is the range of Air to Water reversible heat pumps made by HiRef designed to operate with extremely low outdoor temperatures. EVI compressors with vapour injection. Smart Kit for “cold” start up. Coils with hydrophilic treatment and larger fin pitch. Defrost ice trays with electrical heaters. Available as multfunction version for 2- or 4- pipe systems. 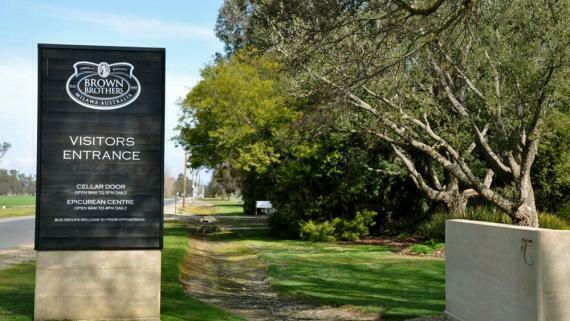 The HPS range is able to produce water at 58°C, as well as to operate with outdoor temperatures of down to -15 °C. The Scroll compressors of the HPS range relies on the vapour injection technology: a small flow of refrigerant in the vapour state at medium pressure is “injected” in the scrolls into the compression chamber. 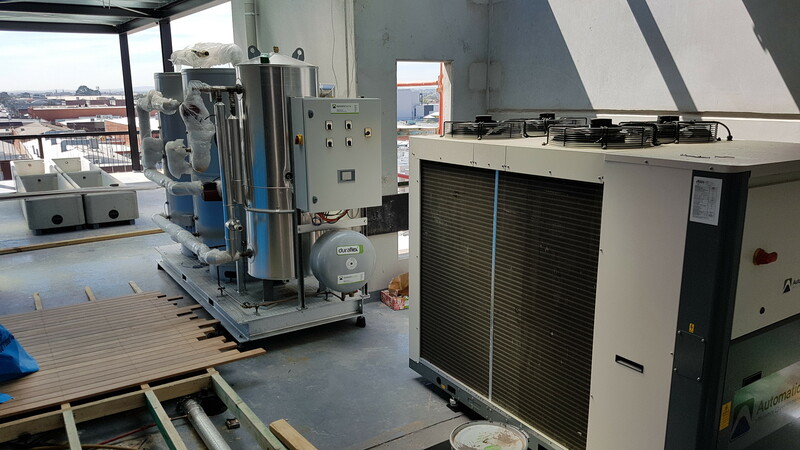 This system allows an increase both of cooling capacity (thus heating capacity) and of efficiency and, above all, an extension of the working range of the heat pump, which makes the HPS range the ideal solution in case of very cold outdoor conditions. All the units in the HPS range are supplied in the “Low Noise” version as standard equipment; this version features fan speed management, anti-vibration piping on the refrigerating circuit, compartment of the compressors and of the pumping kit in a box with soundproof material: this to guarantee the lowest sound emission at all working points. 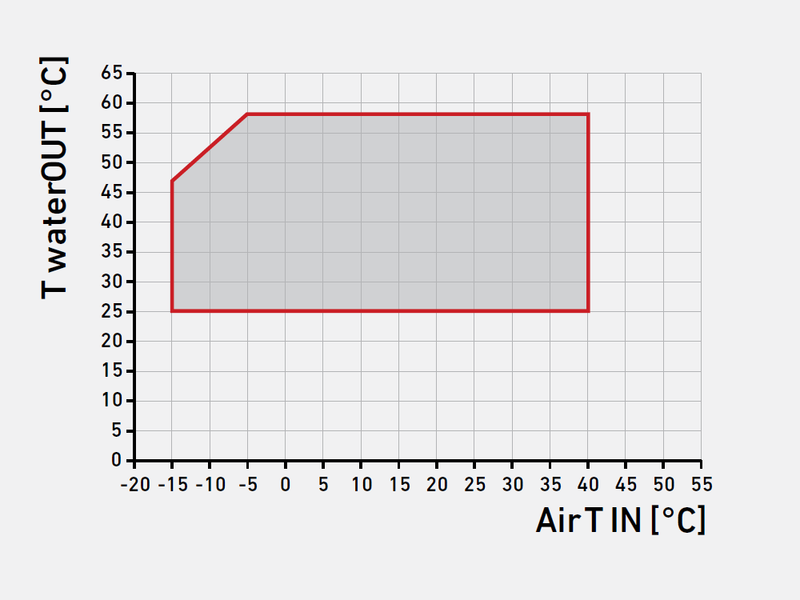 The defrosting cycle of the evaporating coil during the wintertime has a significant impact on the operating costs of the entire system. The Smart Defrost System® by HiRef (covered by patent) can detect a performance drop in the heat exchange due to icing and to shorten the defrost time. The hydrophilic treatment of the coils speeds up the defrosting process, so that only the first thin layer of ice on the fins needs to melt. The available configurations for the refrigerating circuit are designed to guarantee both redundancy and efficiency at partial loads. In particular, depending on the size of the machine and on the particular needs of the installation, the units consist of two compressors on two circuits for high system redundancy, or by four compressors (double tandem) on two circuits for a system that is, at the same time, redundant and efficient at partial loads. 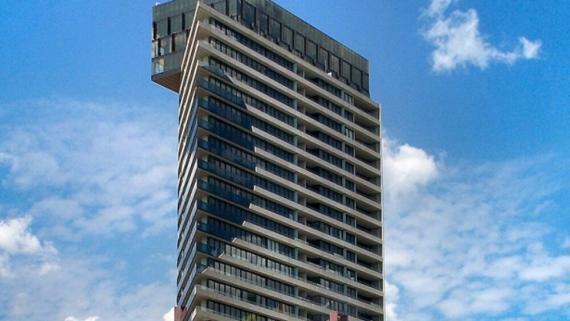 This revolutionary Nightingale Apartment project utilised the eco-friendly and energy efficient virtues of the Galletti HPS heat pump to help achieve their remarkable sustainability goals. 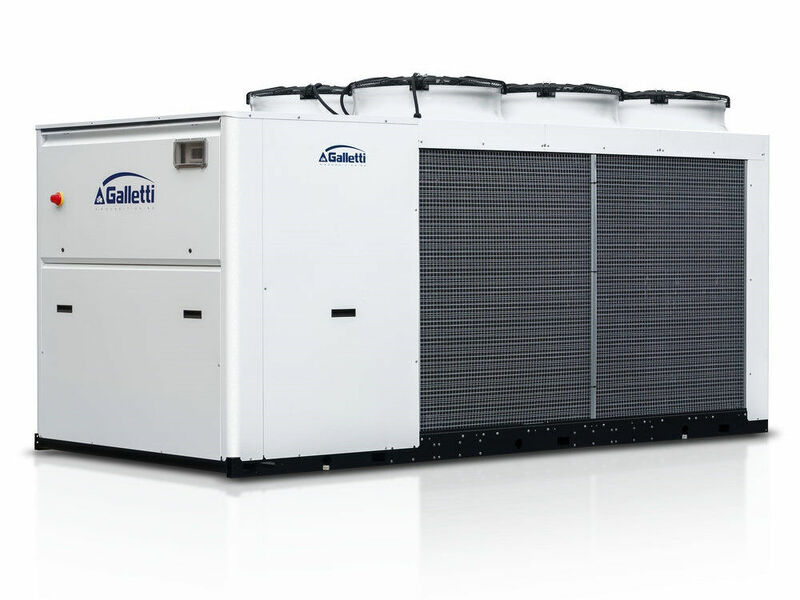 Delivering a 100% fossil fuel free heating solution, the Galletti HPS Heat Pump was combined with twin coil Thermex Stainless Steel tanks to provide high temperature hot water for Domestic Hot Water and Hydronic Heating. A custom prefabricated skid streamlined the installation process.